AMMONNEWS - The Lower House of Parliament on Sunday referred a number of draft laws to their designated committees in its first extraordinary session. In a session, chaired by Lower House Speaker, Atef Tarawneh, the parliament decided to refer the bill of the fund of martyrs of the Jordan Armed Forces-Arab Army and security agencies to a joint committee comprises "legal and administrative" committees, municipal courts formation bill, 2018 civil retirement bill to its legal committee, while the 2018 public administration bill was referred to the administrative committee. Prime Minister, Omar Razzaz, said transferring employees subject to the civil retirement law to the social security entails a high cost, stressing the government's keenness to study the issue with the council and discuss the possibility of financing the cost. He pointed out to the government's inclusion of military and civilian employees and the private sector in the social security, and he vehemently denied allegations made by MP Husni Shayyab regarding the two million Razzaz supposedly received when he became Prime Minister. The house also discussed the Unites States' decision to withhold funding from UNRWA in a statement read by head of Lower House’s Palestine Committee, Yahya Sa'ud, in which he asked the international community to rise against the US administration's decision and the Arab countries to contribute to financing UNRWA's activities. 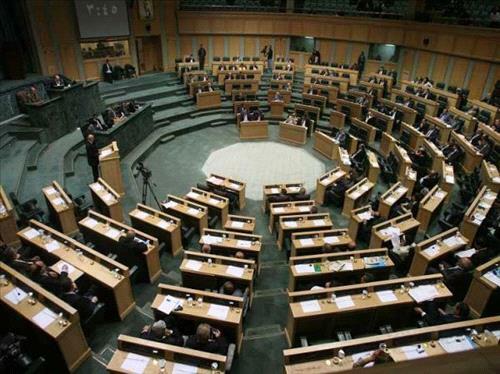 At the beginning of the session, Secretary General of the House of Representatives, Firas Adwan, had read the Royal Decree to prorogue an extraordinary session of the Parliament as of the twenty second of last July, and the Royal Decree to convene in an extraordinary session as of this Sunday.